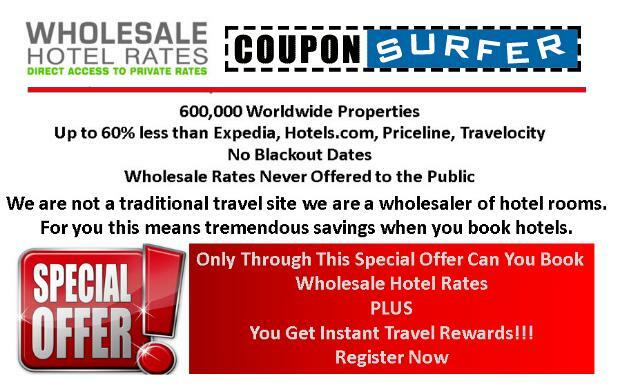 CouponSurfer members now have exclusive access to wholesale hotel rates at more than 600,000 worldwide locations. Save up to 60% off what you would pay at sites like Expedia and Priceline. Enjoy no black-out dates or restrictions at major hotel brands like Best Western, Hilton, Holiday Inn, Hyatt, Marriott, and Wyndham. These rates are not offered to the public.